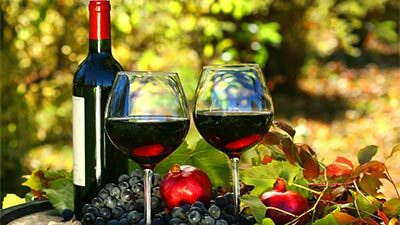 We invite you to meet and taste the wine in the region where it is born, strictly connected to the farming culture, and to experiment with the links between the foods of the region to stimulate your senses offering a holiday to experience and taste. 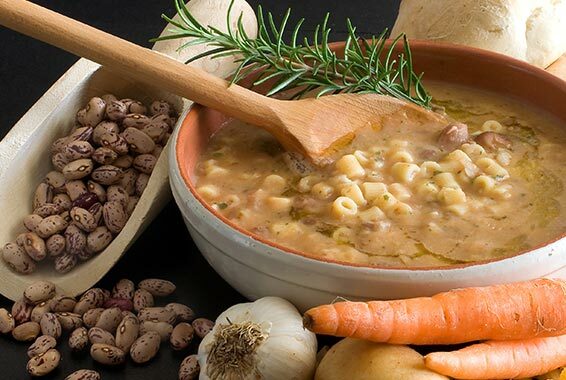 The origins of the local cuisine are closely tied to the farming culture: so it offers excellent cured meats and white meats, delicious soups (with the rightly famous bean soup, with a drizzle of extra virgin olive oil), inviting homemade noodles, and flavourful grilled meats. Nature also helps create special flavours by offering many types of wild herbs to be paired with rice dishes, egg dishes, and to be enjoyed as starters. The honey. 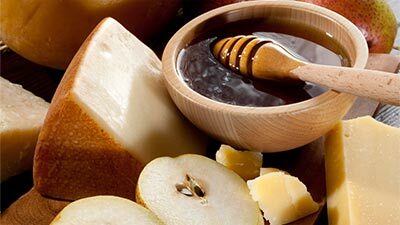 Part delicacy, part medicine, with both qualities making this honey a complete nutrient. In fact, the honey found on these particular hills is honey with hints of acacia, chestnut, heather and lavender. The oil. The olives have a strong bond with the Euganean territory, which for centuries has survived four different autochthonous cultivations: “Rasara”, “Marzemina”, “Rondella” and “Matosso”. 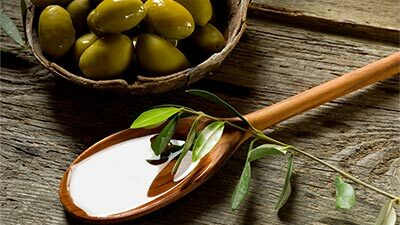 Each one has produced olives and oils of different quality, with some having been protected by recognition from the Protected Designation of Origin. Other varieties cultivated in the area are the “Leccino” and the “Frantoio”, which are created using methods based on ancient tradition. Produced using an olive-press since the end of the 700s, in the same way as those produced in Valnogaredo (which still function), the extra-virgin Euganean oil is characterised by its particularly fruity flavour, its low acidity content, and its aftertaste that brings to mind sweet almonds. Small Fruits. Blackberries, raspberries, pomegranates, jujube, strawberry trees, hazelnuts, medlars and almonds are some of the most appreciated delicacies from the hill. .
One of the most fascinating walled cities of its kind in Italy and, indeed, Europe, and besides its medieval fascination, Montagnana is also famous the world over for its types of ham. 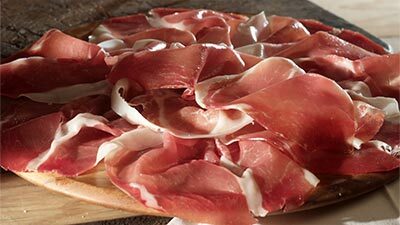 The inhabitants of this ancient settlement proudly continue to call this product ‘prosciutto crudo “dolze” di Montagnana” (the uncooked “sweet” ham of Montagnana). The Paduan courtyard. Main items: the skewered “Torresani”; the chicken alla Padovana in “tocio de vin rosso” (cooked in tomato and mushroom sauce with rosemary, shallots and red wine); the pheasant “alla vecchia maniera”; the goose with peas; the duck with fruit; the wild Boar, and the Rabbit. Naturally, also roast game. The chickens, the capons or any other animal from the courtyard used for lunch have as “by-products” the liver, hardened skin, the heart and the sweetbreads, which are deliciously mixed into risottos. The barbecues are extraordinary and the boiled combination of different meats is in the traditional style. La polenta non può mancare! The AbanoRitz hotel and its vintage restaurant "The Ugly Duckling" are part of the Colli Euganei Wine Road Colli Euganei Wine Road.